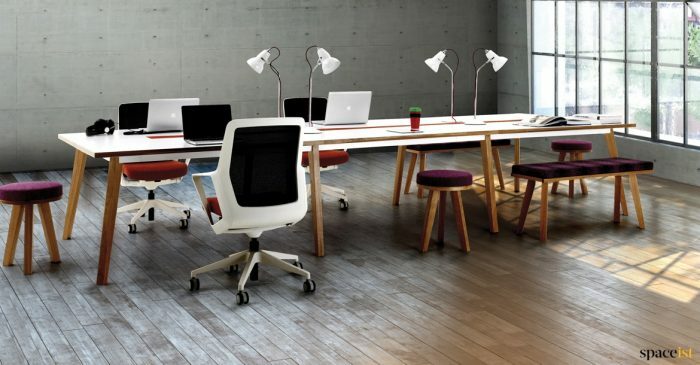 Nothing beats the beauty and versatility of real wood. 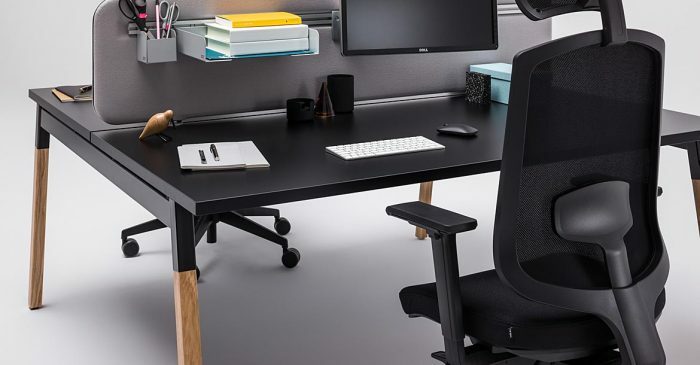 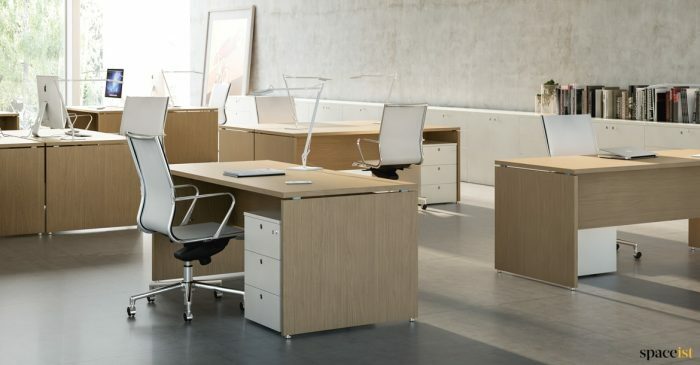 Warm, stylish and able to work beautifully with all interior styles, modern or classic, wooden office desks are a versatile solution for all commercial spaces. 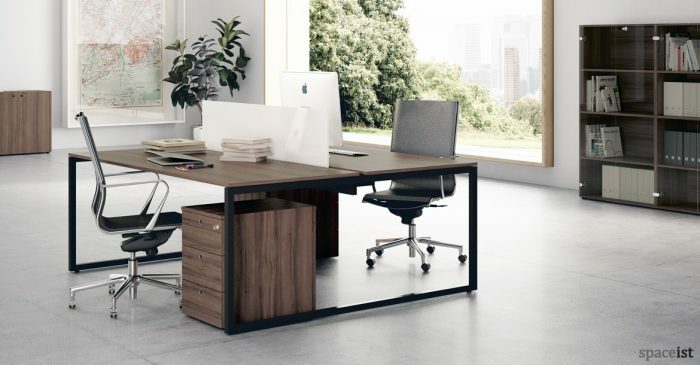 Our most popular oak and walnut wood desks come a large variety of styles and sizes to suit all requirements. 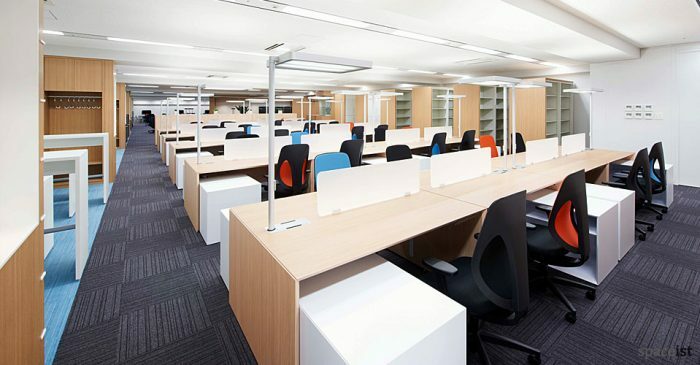 Sizes available for wooden office desks include 120, 140 and 160 cm widths, 160 cm deep desks and large desks that can seat 2, 4 6 or 8 people. 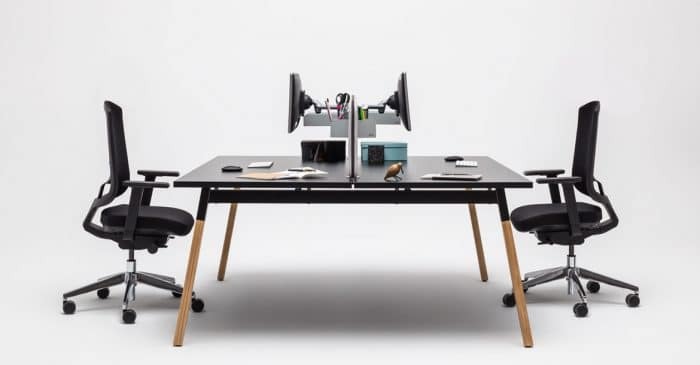 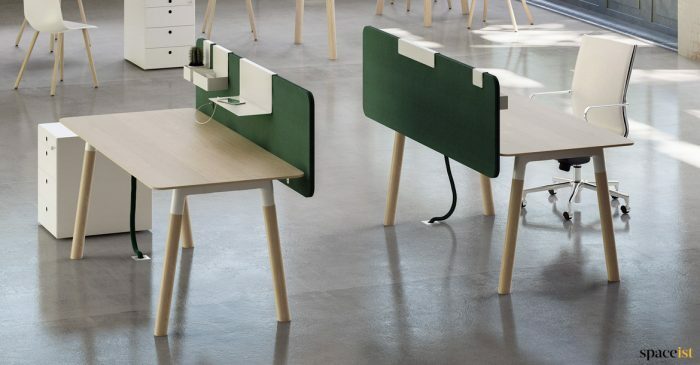 For true flexibility we also offer a range of modular desks in bespoke sizes with options for dividing screens and cable management, UK power outlets and matching lockable storage. 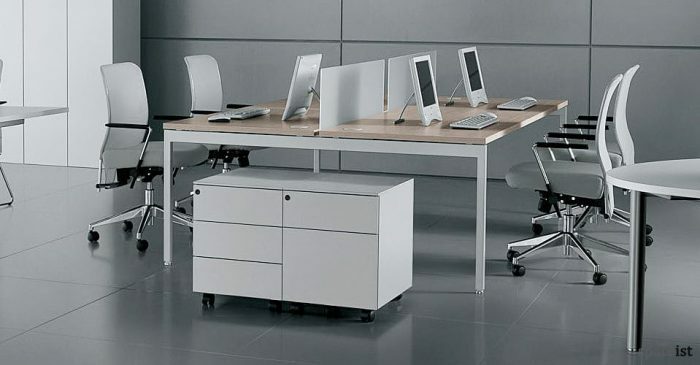 All of our wooden desks benefit from a 5 year warranty and UK wide delivery and installation. 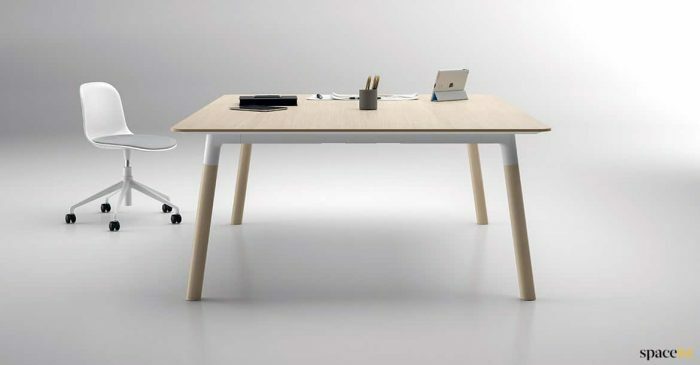 Simple modern desk with a contrasting white top and oak finish leg. 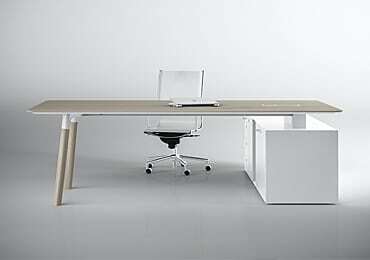 New long office desk to seat three people. 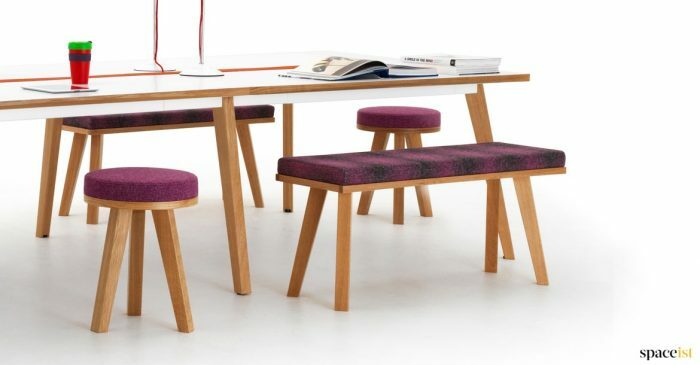 Solid wood leg & a choice of laminate or veneer tops. 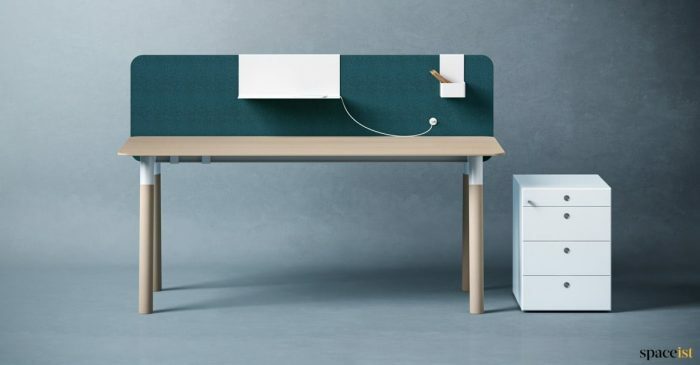 New office desk in three sizes. 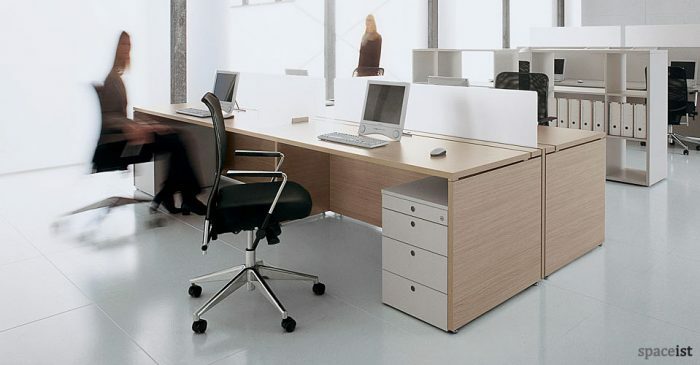 Solid wood leg & a choice of laminate or veneer tops. 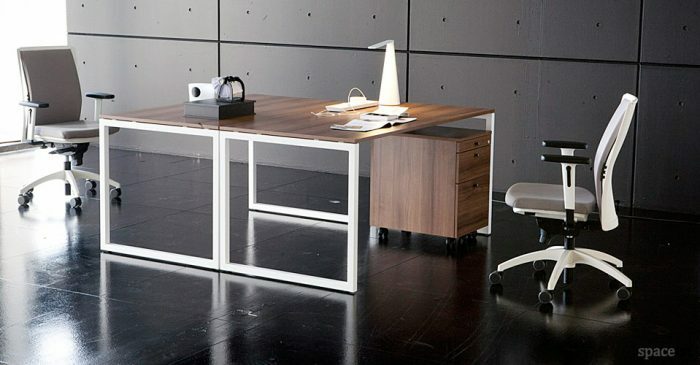 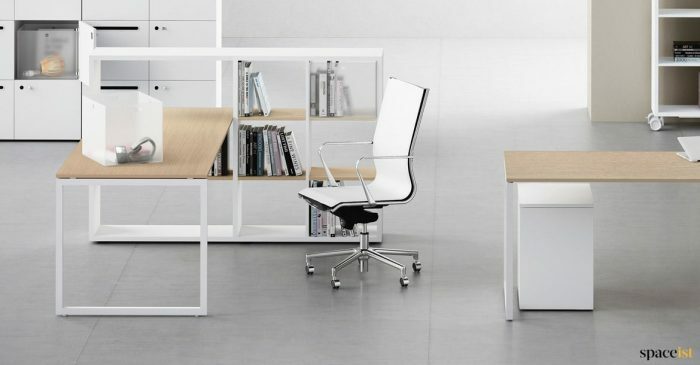 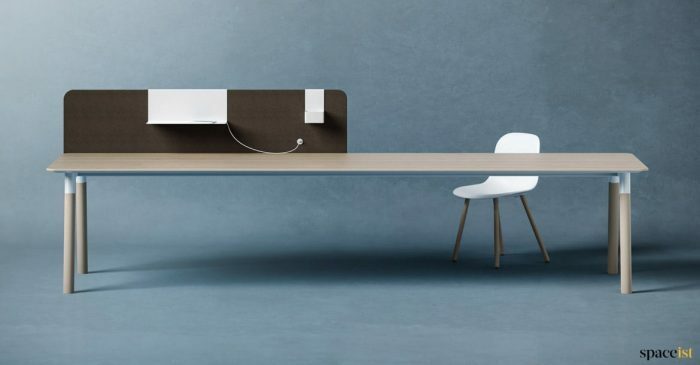 Modern office desk with solid wood legs to seat 2-4 people. 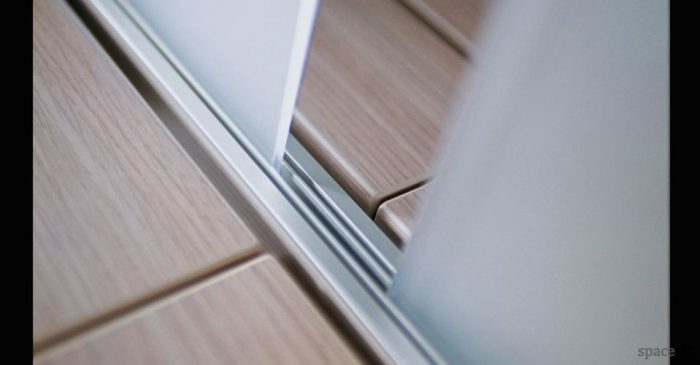 Choose from 8 top & 2 wood leg finishes. 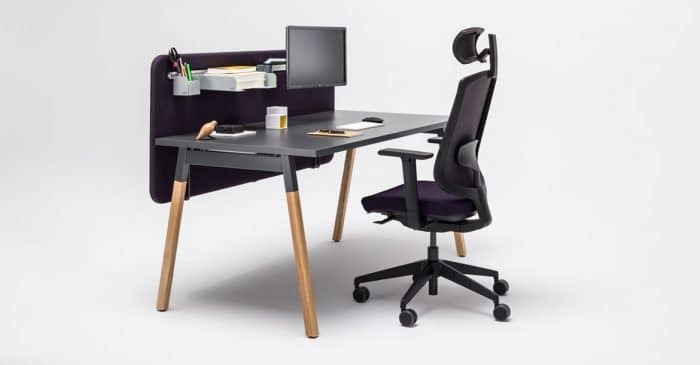 Matching bench desk & meeting table which are apart of the Woods range.